Frame the Wedding Details – Depending on what kind of wedding your loved ones are having, there are so many special relics worth memorializing for them. You might consider framing their invitations or the lyrics to their first dance song. If you’re feeling crafty, you could even make them a wedding shadow box with a few of the most precious keepsakes from their big day. 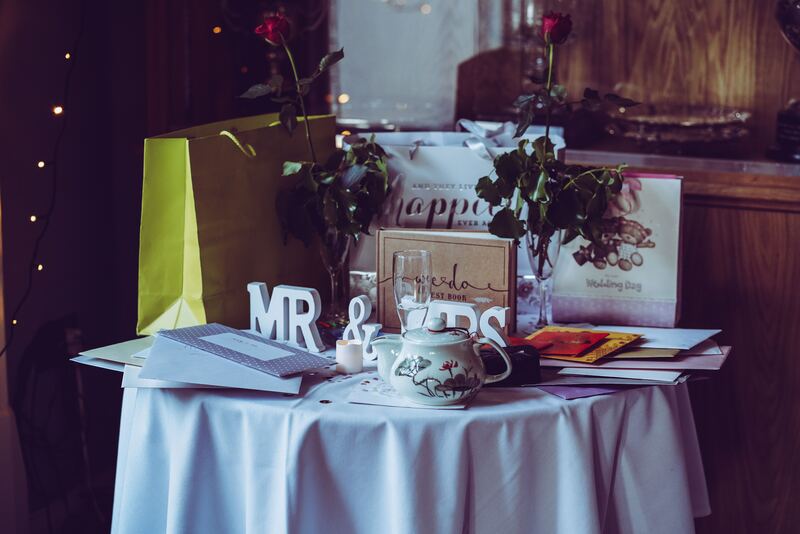 The couple will certainly love a thoughtful gift that helps them remember their wedding day. Donate to a Downpayment or Honeymoon Registry – Many modern brides and grooms are now asking guests to donate to a honeymoon fund or house down-payment registry instead of a traditional gift. This is a great way to support the loved ones in your life without buying them a kitchen or home utensil they may not need or want. Before you decide on a gift, check to see if they have alternative registries instead. Custom Art or Illustrations – Another great way to memorialize a wedding day is to commission a custom piece of art or illustration that helps commemorate their day. You could gift them a beautiful print with a star map of their wedding night or a custom portrait with an engagement or wedding photo. You might even consider a live wedding painter if the bride and groom agree. These unique wedding gift ideas are especially meaningful for couples who love art or have a new home to decorate. An Adventure – For many couples, the gift of a memory is much more valuable and appreciated than a standard wedding gift. If the couple does not have a honeymoon registry available, consider getting them an airline or hotel chain gift card that will allow them to book a trip when they can. Better yet, ask them where they’d like to go and help them make it happen. If a big trip is out of your budget, consider getting them a local memory like a couples cooking class or a day pass to a local park or natural area. Newlyweds will jump at the chance to spend time together and make new memories. 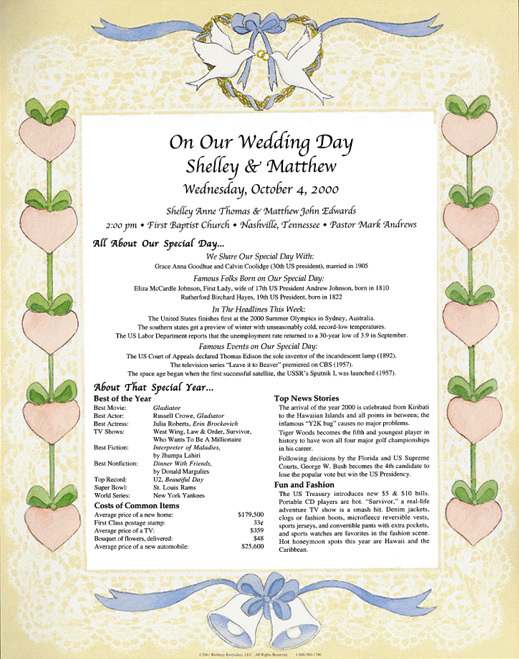 A Wedding Day Keepsake – As you search for unique wedding gift ideas, consider a “Day You Were Married” Wedding Day Keepsake from Birthday Keepsakes. This unique gift comes with delightful details about the ceremony and events from that day and year. It’s a special way to help the lovebirds in your life celebrate their day and mark the occasion for years to come. As you head into wedding season, take the extra step to gift the couples in your life with a special and unique wedding gift they are sure to cherish. Skip the pots and give them one of these unique wedding gift ideas instead.